St. Patrick’s Day in Bangkok! 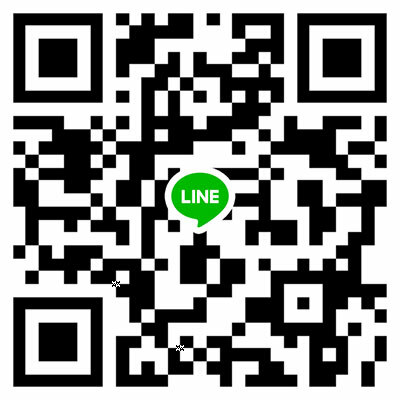 Experience Saint Patrick’s Day in Bangkok like never before! 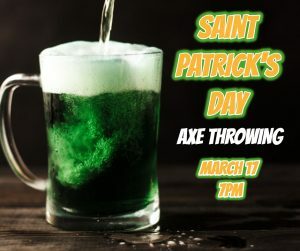 Golden Axe Throw Club hosts it’s 1st annual St. Patrick’s Day Axe Throwing Tournament. 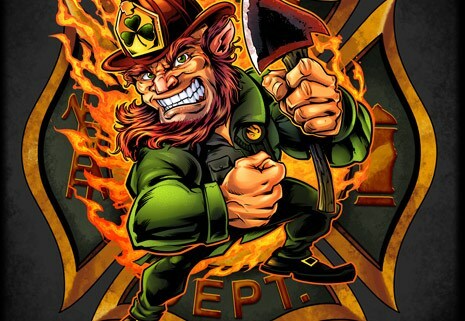 Will you be crowned the Champion of St. Patrick? 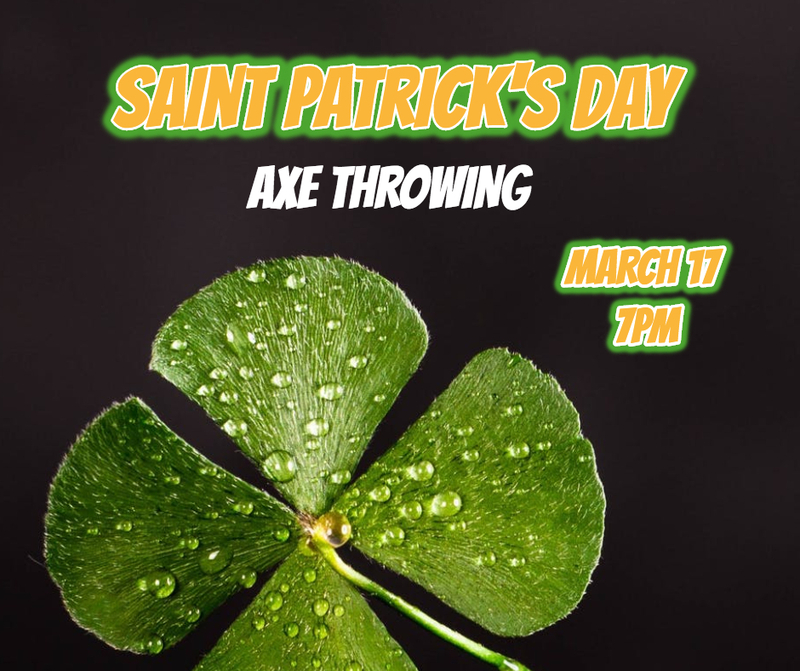 Come find out and test your luck at chucking axes! Each competitor will earn 1 free throw, with the chance to win the price of admission for free! 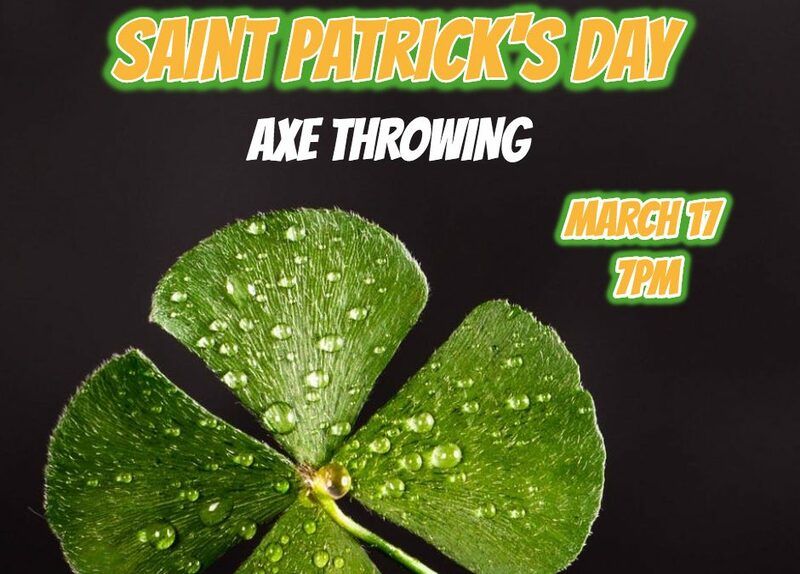 At any time during the 3 hour event, each thrower will have the chance to declare 1 throw, and aim for the Lucky Charm, a pint sized version of our normal green Clutch (Hint: it’s a smaller 4 Leaf Clover!). Simply declare you are going for the Lucky Charm, take aim and GOOD LUCK! 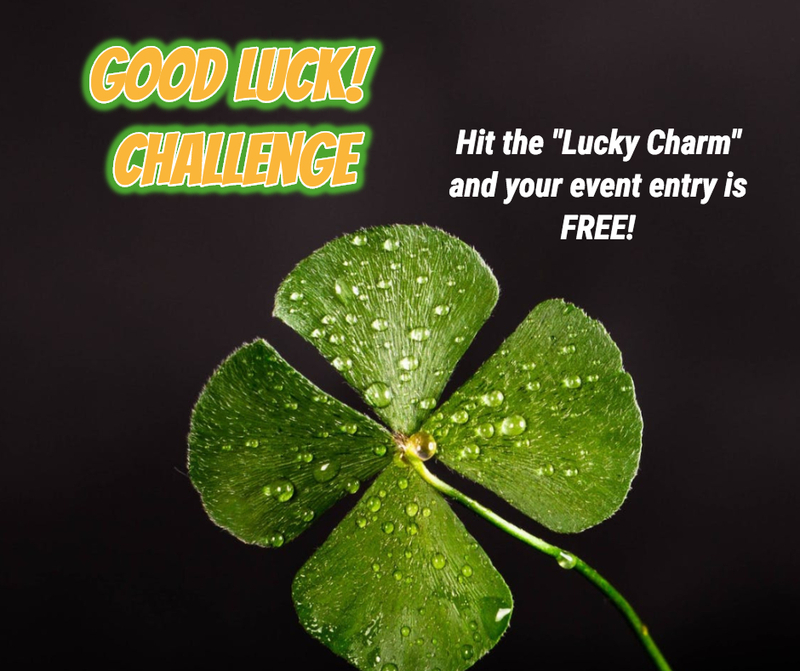 If you hit the Lucky Charm, you get your entire entry fee waived. It’s our Clutch game taken to a much harder, yet rewarding challenge! Follow the link below to book your spots now! Limited entry and all are welcomed! Payment is available at the venue, but booking is required ahead of time to reserve a spot.